One evening, when I was having a difficult time falling asleep, I surfed the web for some inspiration. I’ve been wondering if I could do anything to my film to make cool effects. It was then I discovered Film Soup. Film Soup can be anything. It can be legitimate soup. You can throw your canister in a boiling pot of chicken noodle soup. You can put it in boiling water and detergent. You can throw your canister in just about anything- hey, go experiment!- and the results have the potential to be fascinating. I boiled water and added pure lemon juice, and these are some of the results. I was extremely excited when these came out.It’s important to mention that I did not develop this roll myself, but I took it to my local lab and they were able to process it just fine. So no worries to those of us who don’t have the resources to develop at home. The colors are brilliant, and it always feels good when an experiment comes out nice. Want to make your own lemon-film-soup? Here is the full tutorial. Don’t be afraid to experiment! This particular roll I took with me on my trip to northern Michigan. Since I didn’t fill my roll on that trip (shocking, I know,) I filled it slowly over the past two weeks when I’ve done anything semi-interesting. A majority of these are double-exposed, so you can experiment with your experiment. Do it big! I busted out the Polaroid 600 after looking through some really inspiring work on Flickr. I was especially inspired by ester.helloo!,who sewed on one of her Polaroids. I’ve been meaning to sew on a particular image of mine, and I was inspired to tweak my idea (my initial idea was to print an image on fabric.) 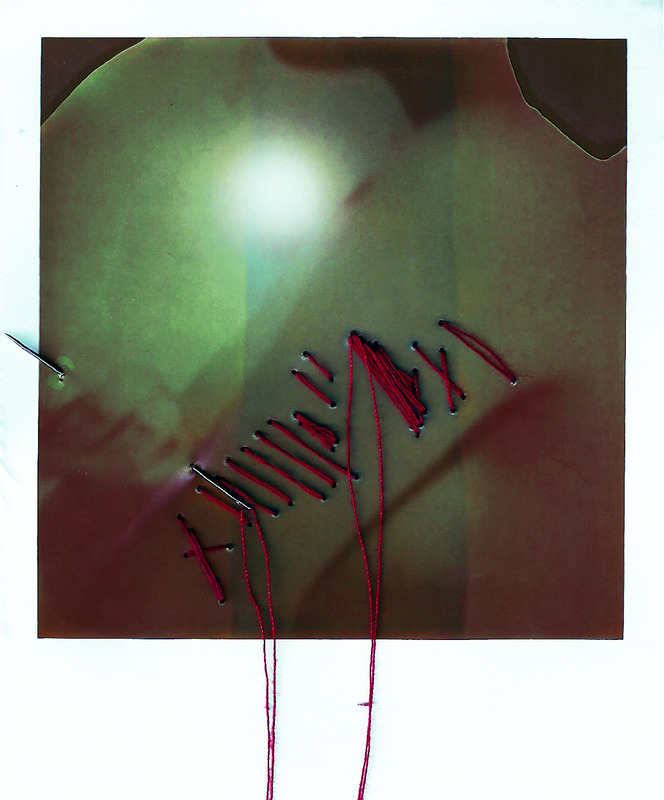 So I snapped a Polaroid of my photo I shot a couple months ago, sewed on it, scanned it in, and tweaked the colors. The film in my Polaroid 600 is super-duper expired to the point it’s almost impossible to make out the images, so even though it felt weird to be editing film, I feel justified. Plus the result is really awesome. I’m extremely happy with this. Do you ever have a project in mind, and you just can’t seem to get what you need for it, or the lighting isn’t working, or your model keeps cancelling, or the sky is falling or the apocalypse is four days before Christmas? This was one of those projects that just wouldn’t let me win. I would love to do more of these, but I only have 2 shots left in my Polaroid 600, and for continuity’s sake (I do love continuity) I won’t be shooting more of these on different film. So, I’ll either do two more or won’t do two more. We’ll see how I’m feeling I suppose! That’s all for now. Keep shooting! It’s been a while, mostly because I’ve been sick and poor. I went to Chicago at the beginning of the month, and none of my photos came out. ): Major sadness. My heart was crushed. I didn’t know how I could possibly go on… And then I got over it and figured I’ll probably be in Chicago some other time. C’est la vie. Here are some of the results. Be sure to check out the rest in the film work tab! I was thrifting recently and I came across a Polaroid 600 camera. Skeptical, I started doing my camera checks to see if it worked. I popped it open and went to check the shutter release and- FLASH!- out pops a lovely Polaroid of the ceiling I accidentally took… I didn’t know the camera had film in it! And, to my pleasant surprise, there were four more shots left on it. The film looks pretty expired, but given the right subject I could make it work. I decided to surf the web and see what other people have done with their Polaroid film. I was originally looking for subject matter to inspire me, but my search eventually turned to different experiments to do to the film. From bleaching to sticking them in dishwasher. 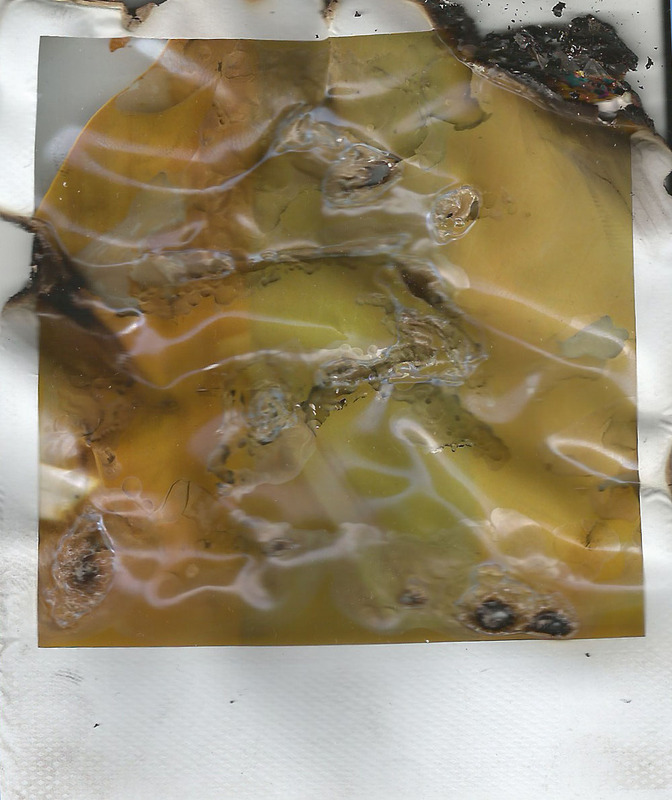 I wasn’t feeling utterly ambitious and confident in these methods (and to be honest I couldn’t find any tutorials…) so I took to burning the picture I accidentally took at the thrift store. Now, I’m not a pyromaniac, and I’m not particularly fond of fire. With the assistance of my father, sister-in-law, and a couple sparklers, I managed to get some interesting results. I probably breathed in some toxic chemicals that I’m going to regret 50 years down the road, but whatever. Anything for art, right? I’ve been really itching to try double exposures on my Minolta X-700, and after a week of shooting I finished my roll. It usually doesn’t take me that long to fill a roll, but the double exposure idea I had in mind required 20 different people to photograph. I essentially “collected” people all week. I would ask my friends, family, and neighbors to pose for me. The idea behind it was that I think we all have the desire to see marvelous things and travel and just live our lives to the fullest, but life happens and gets in the way and we don’t do the marvelous things we think about. I always hear people talking about how they would love to do x, y, or z, but they can’t because of reason 1, 2, and 3. One of my desires in life is to do these marvelous things and not let life hold me down with reasons 1, 2, 3. Are ya following me? My first exposure was pictures of pictures of interesting travel places, like the Grand Canyon, the Great Pyramids of Giza, etc. After I filled my roll with exposures of these places, I rewound (rewinded? rewound? uh?) and shot people doing ordinary things. I got my dad making coffee, my mom getting ready for work, my sister when we were out for dinner, stuff like that.The sad thing is only 5 out of 24 really came out nicely. But hey- that’s okay, 5 is better than nothing! I love working with film and the unpredictability of it. All five of the pictures are in my film work tab, so be sure to check it out. I’m heading to Chicago tomorrow to visit my best friend, so keep an eye out for some more updates and photos.